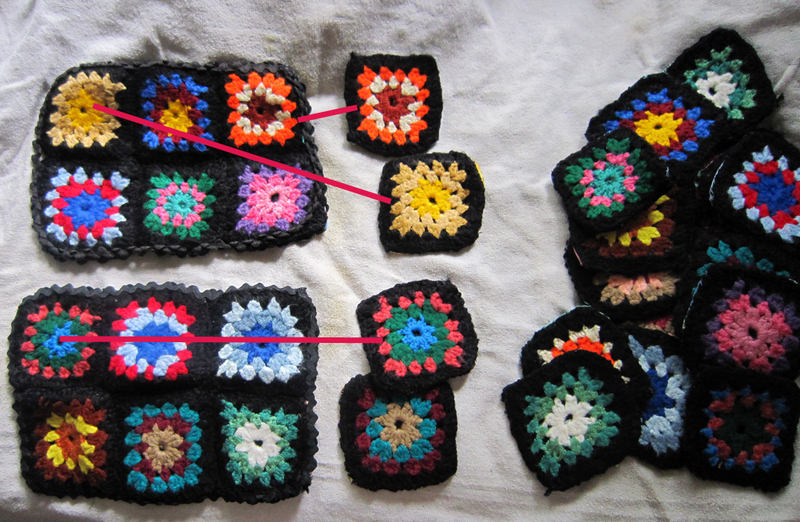 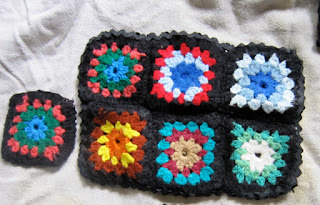 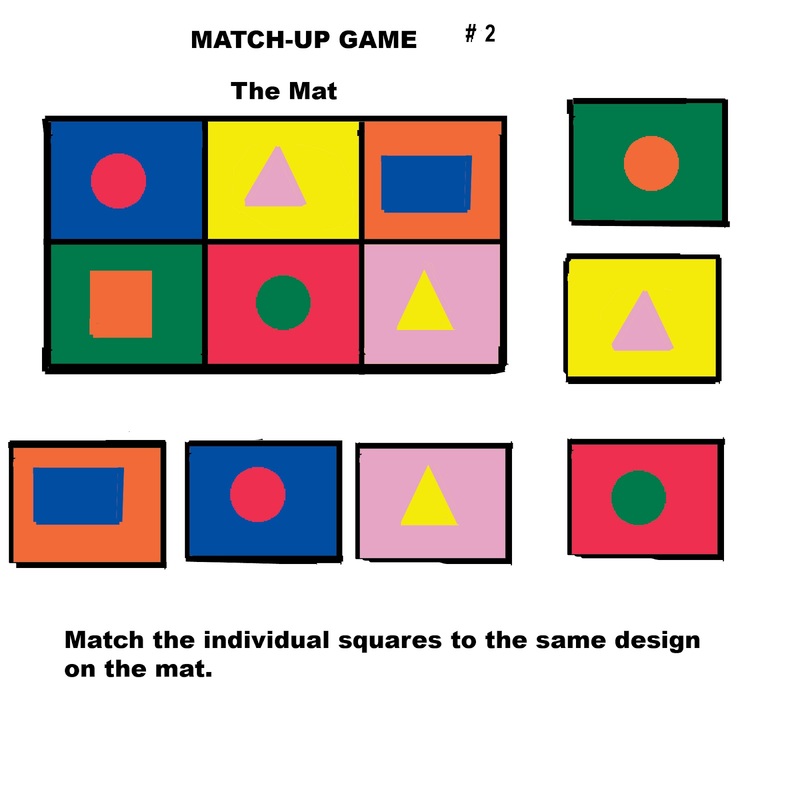 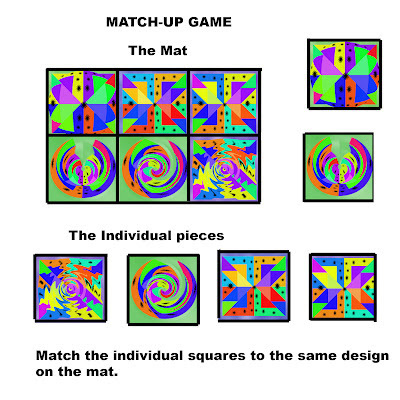 sew, knit and/or crochet could make visual discrimination games using your skills. 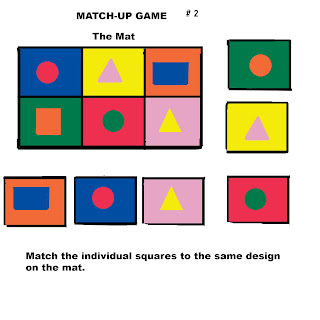 visual discrimination game. It can be very easy, to complex. 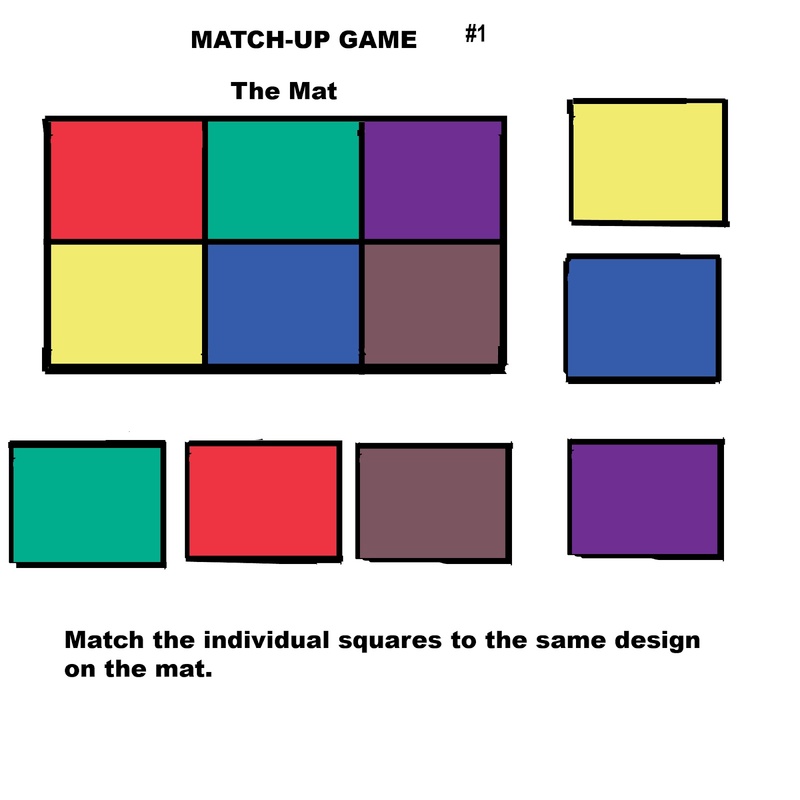 be used to teach both colors and shapes. 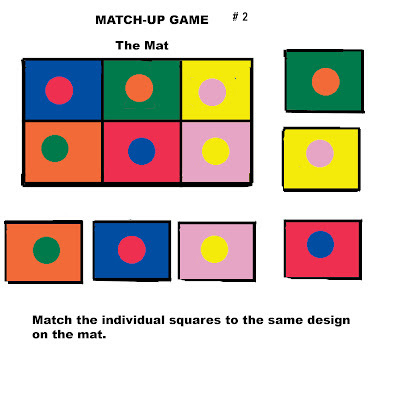 This game is very advanced. 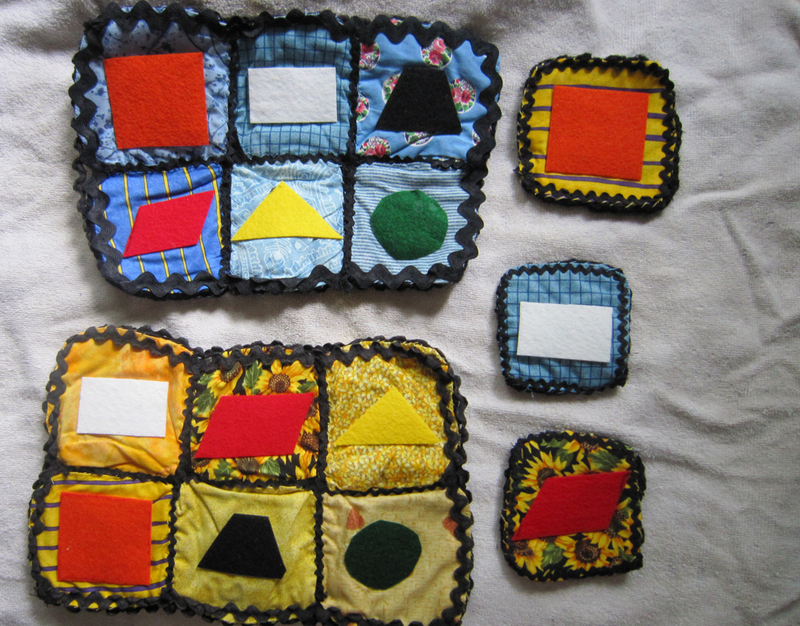 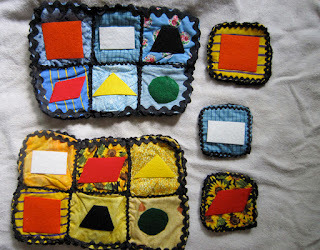 Here, creative quilting can be utilized.